Peacefully on February 05, 2019, at the Otago Community Hospice, in his 84th year. Loved husband of the late Dawn, and formerly of the late Pat, much loved Dad and father-in-law of Judith and Graeme Gaudin, Robert and Pam, Gary and Melanie, Debbie Gardiner and Peter Wilson, and Adrian Gardiner, loved Grandad of Tracy and Rowan, Kelly and Ragnar, Shane; Amy, Adam; Olivia, Meg; and Todd. An appreciated and loved friend of Dawn’s family. 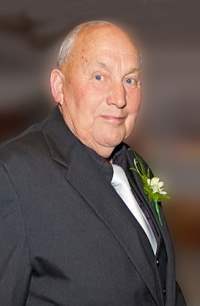 A celebration of Bob’s life will be held in Hope and Sons Chapel, corner Andersons Bay Road and Oxford Street, at 10.00am, on Saturday February 9, the funeral then leaving for Allanton Cemetery. Messages to 3 Arthurs Walk, Vauxhall, Dunedin 9013, or leave a message on Bob’s page above.